Am I a Lake or a Reservoir? Every summer for the past 10 years or so I like to go backpacking in the Sierras with some buddies of mine. Lots of beautiful scenery, challenging hikes, campfires, clean air and lots of oxygen under the trees. Unfortunately for the past several years the drought has taken its toll. 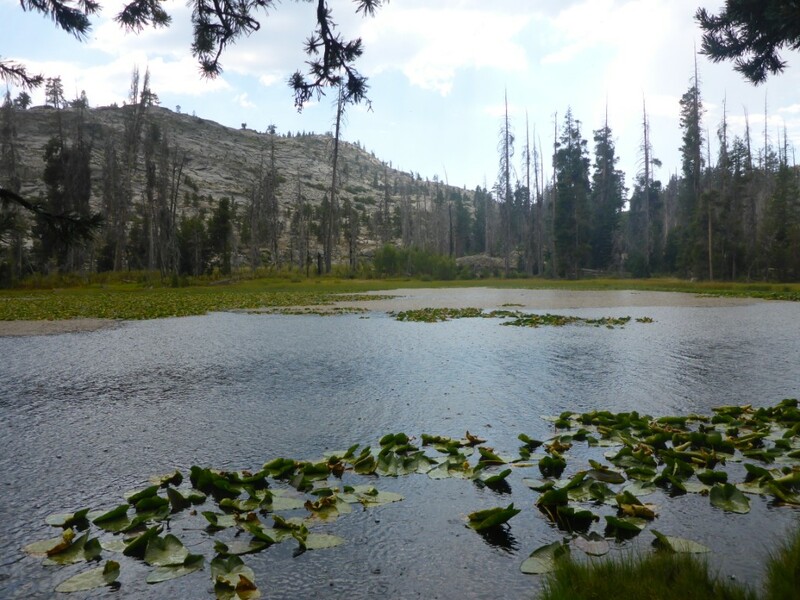 Most noticeably it has affected the wonderful alpine lakes that dot the wilderness areas where we camp. Many of these lakes are in granite depressions or small valleys that are filled with the snow melt from the hills that surround them. Many have no inlets or outlets. So when the snow melt is insufficient to fill the lake by the end of the summer they are reduced to algae infested muddy ponds. Needless to say the camping experience is not as awe inspiring as in the years of plenty. Then there are other lakes and especially the large reservoirs in our foothills that have outlets, natural or man made, which feed ecosystems and populations downstream. Even in the recent drought these have continued to flow, even if greatly reduced. I began to apply these two types of bodies of water, the captive lake with no outlet and the reservoir with the downstream benefit, to two types of Christians. In the Gospel of Mark [5:25-34] Jesus is touched by a woman with a long standing illness and “virtue” “flows” out of him, healing the woman. She approaches him from behind and it isn’t until she touches the hem of his garment that he knows healing virtue has left him. She instantly knows she is healed. Jesus is a type of the reservoir of virtue with a downstream benefit. Further, he never suffers from drought. The psalmist says that his “cup runneth over.” The Apostle Peter, upon seeing the man who couldn’t walk at the Temple, begging for alms, took him by the hand and by the same reservoir raised him up. There is no reason why even in times of our own spiritual, emotional or physical “drought” we cannot also be a reservoir of virtue, passing through the living water that comes from “upstream.” Filled to overflowing. The alternative is a captive lake, albeit set in a beautiful condition but unable to nurture anyone “downstream.” Whether in time of drought or plenty this body holds captive its virtue. Nothing leaves. Its water ceasing to become “living” and ultimately is consumed by the conditions of its own existence. The Church today needs the second type of spiritual body of water, vast reservoirs of virtue that provide powerful flows downstream, supplied from above and nourishing any who drink from its flows.